How Many Buildings Worth Saving Are There? The Brookings Institute projects that 25% of the existing building stock in the United States (82 billion square feet) will be demolished by 2030. A recent report on the environmental value of building re-use released by the Preservation Green Lab argues that the total burden placed on the environment through the demolition of an existing building is not generally justified by the environmental benefits realized through the construction and operation of a new, more efficient building. The preservation of existing buildings has been a topic of debate for decades, ever since the demolition-happy days of the 70s when many of America’s architectural gems were leveled in the name of “progress.” But most of the 82 billion square feet slated for the demolition hammer is not in buildings with historical significance. 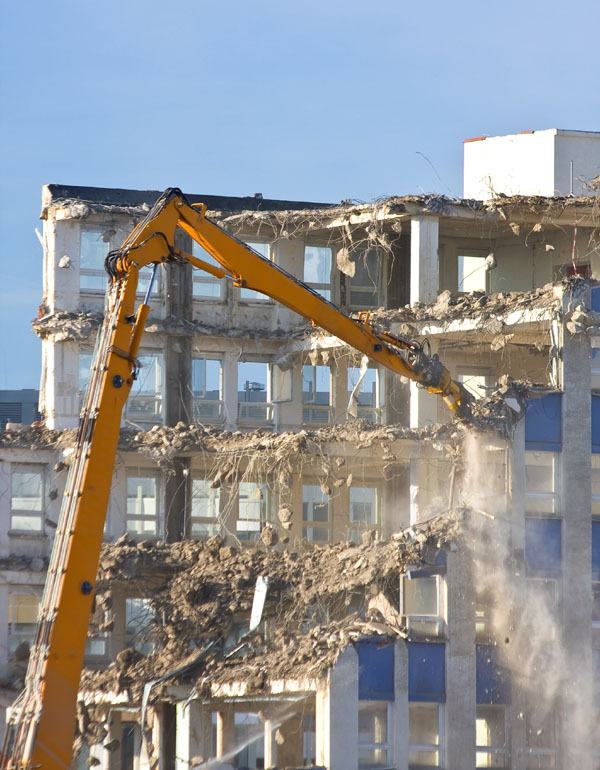 When it comes down to making a decision between renovating an existing building and tearing it down and starting over, the decision is generally simple: is the potential productivity of an existing building high enough to justify the cost of renovating it? And this decision is generally determined by zoning. If the scale of an existing building is well below what is allowed on a given piece of land, it’s very unlikely that anyone will come along and renovate that building. This is particularly true if market conditions support replacing it with one that more fully realizes the potential of the land. As the size of any existing building begins to approach the maximum potential of the land it is on, the likelihood of it being torn down and replaced drops rapidly. Hopefully, the findings of the Preservation Green Lab report will result in some doomed buildings being saved from the demolition hammer. It’s useful to have a well-executed study like this making a solid case for renovating existing buildings. But more than likely, most buildings will be torn down because they are functionally obsolete. So, with regard to the 82 billion square feet of existing space that will be demolished by 2030, the question should be asked: how much of it is really worth hanging on to? Brian Neville will be completing a Master of Science in Real Estate degree at the University of Washington in June 2012 and currently works as a development consultant to Wood Partners, Pacific Northwest. Brian is a licensed architect and operated a design-build firm in Seattle between 1998 and 2010. A little bit off topic, but I found this the other day. Imagine if they’d used that as a base for a tall building, rather than demo’ing it and building that pedestrian-hostile post office and set of parking garages on 3rd. Are you saying there is no value to a property beyond the level of productivity that it can hold? That doesn’t seem right. It seems to me that part of a city is its heritage, and a large part of a city’s heritage is contained in its architecture in the form of monuments.